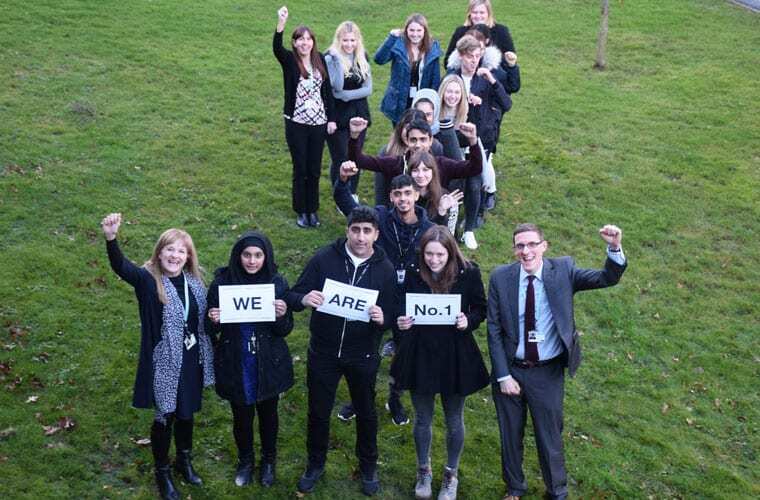 Nelson and Colne College is number one in the county when it comes to student satisfaction. The impressive statistics show that NCC has been placed number one in Lancashire and joint 11th nationally – out of 188 colleges – in the latest FE Choices Learner Satisfaction Survey. NCC scored 88.4% and enjoyed a strong response from students, with 1,013 of the 1,600 studying full-time courses opting to complete the survey. According to the government, the final score is based on the percentage of respondents who would recommend the College to family and friends. NCC is already top of the tree in Lancashire for A Levels and the best in East Lancashire for vocational studies, based on progress scores. The College is also number one in the country for Maths and third nationally for English, based on progress scores, and is the best in the country for apprenticeship success – according to recent Government data. The launch of a new University Centre at the College has just been announced too, offering University-level qualifications starting in February in Business Studies, Computing and Systems Development, Engineering Manufacturing/Electrical/Maintenance and Sport. Paul Britton, NCC’s Vice Principal for Curriculum, said: “This is fantastic news at an exciting time for the College. “Around two thirds of students took time out to complete the survey which is an excellent number. I thank all of the students who did so, because your feedback is valued greatly. Sally Ralphson, 18, from Trawden, who is studying Biology, Religious Studies and Sociology at NCC, said: “The thing that is great about this College is how friendly and encouraging everyone is. “I didn’t know anyone when I arrived but I have made some lovely friends at NCC. All my teachers are really supportive and helpful too in encouraging me to achieve the best I can do. “I’ve definitely progressed, I am much more confident now in my abilities than I was before I started and I’ve received offers into some amazing universities.